To keep up with the demand for classic car expertise, the Original Venice Crew (OVC) has formed a ‘dream team’ and started accepting a limited number of heritage Ford performance vehicles for restoration, repair and upgrading. The expert OVC team currently build official continuation 1965 Ford Shelby GT350 competition models and were involved with an array of the greatest sports and contest vehicles during the 1960s – including Shelby Cobras, Ford GT40s and Shelby Mustangs. 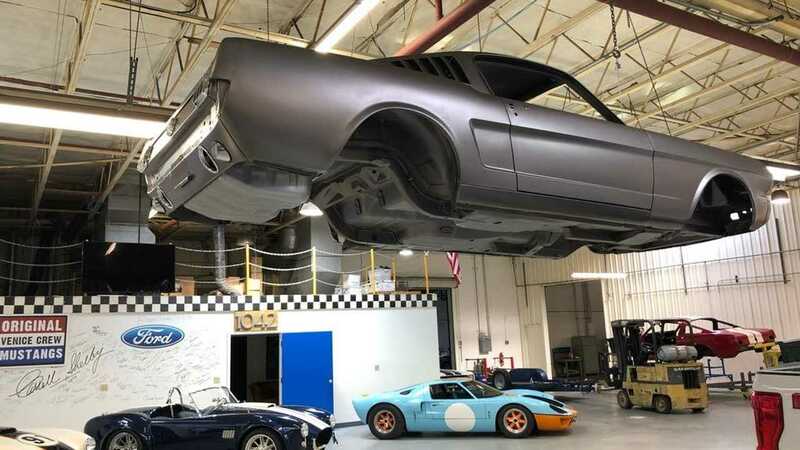 “Over the past year, many discerning collectors and enthusiasts have approached us to maintain and restore their performance car,” said Jim Marietta, CEO of OVC. “It is becoming very difficult to source the knowledge, talent and parts necessary to maintain these special vehicles. Since Ted and I were at Shelby American when many of these cars were introduced during the 1960s, they were anxious to secure our services. Besides gaining access to the OVC team’s expert knowledge, Marietta has added man power to an already impressive set of squad credentials. For starters, the team now includes Bob Bondurant, who provides historical information, handling suggestions and race prep consulting services. Veteran Shelby racing driver and Le Mans winner John Morton is on hand to test the Shelby continuation cars and provide handling and race prep input, including on track testing. Finally, Shelby engine guru Jim O’Leary can oversee engine builds and provide historical input. The roots for OVC date back to a reunion when former Shelby American employees Peter Brock, Jim Marietta and Ted Sutton decided to create a one-off 1965 Ford Shelby GT350 Competition model car. All three worked on key projects at Carroll Shelby’s Princeton Drive facility in 1965, including the first Competition Model, 'R-Model' Shelby GT350, 5R002. Brock designed key features for the continuation car when Marietta and Sutton formed the 'Original Venice Crew' in 2014. OVC will limit the number of special projects it accepts as it is still in full production for the 1965 Ford Shelby GT350 Competition model cars. These cars are assembled at the Shelby facility in Southern California, just as Carroll Shelby and the racers did in 1965.